She features 17 original songs for babies, which are all destined to become favorites in the young baby market. There is an extremely important one for new moms: “The Awesome 5’s” song sets to music five unique ways to calm your crying baby. These important ideas were developed by renowned pediatrician and author, Dr. Harvey Karp. Upon hearing this musical version of his popular “5 S’s” method in “Karen’s Smiling Baby Songs” album, Dr. Karp commented, “Karen did a great job and she was very accurate…and passionate with her song.” The baby doctor is the author of numerous best-sellers, his most recent being “The Happiest Baby on the Block.” You can find additional information about the physician at www.Happiestbaby.com. 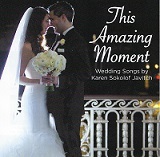 “My newest CD,” Karen explained, “was inspired by the birth of my two grandsons! Babies love music and what a great way for them to connect with their parents and grandparents!” As an added bonus to moms who purchase her CD, if you email her your baby’s first name, Karen will record a personalized song for your little one! ‘Karen’s Smiling Baby Songs’ may be purchased at cdbaby.com, itunes or Spotify. 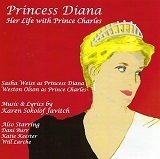 Besides her 15 albums, she has co-written 4 musicals and was the creator and co-host of a popular Omaha radio show, “It’s the Beat.” Her musicals include “Princess Diana the Musical,” “From Generation to Generation,” and “Love at the Café.” These shows have been performed in many cities in the United States. In addition, Ms. Javitch has raised over $350,000 for national and local charities through her original music. Karen’s diverse creations include songs about exercising, celebrities, holidays, political figures, children, math, patriotism, love and family. She has more than 100 youtube videos and some have gone viral! Her music has been in three movies and TV shows. Karen is a prolific songwriter who creates music for anyone between the ages of 0 to 100!